Vegetarian, especially vegan, diets are associated with better cardiovascular health, according to a new review published in the journal Progress in Cardiovascular Diseases. General Douglas MacArthur, Paul Newman, Angela Davis, Wayne Gretzky, Eddie Van Halen, Jules Feiffer and Ellen DeGeneres were all born on January 26. Oh, yes, and one not so famous. It’s also my birthday. I am now 78 years old. I am happy to say that I feel great and am healthier than I was 20 years ago when I toiled in the working world. This is my birthday picture from last year. It’s the only one I have that’s decorated. Coconut oil has been all the rage for some time. Endorsed by a number of celebrities as a superfood, this tropical-smelling fat — often liberally applied to our skin and scalps — is a favorite of many. But the question remains: is it healthful or not? Fat suffered a bad reputation for a long time and we were told to opt for low-fat options instead. But the tides turned eventually, prompting us to see fats in a new light. Our lives became simpler. We learned how to avoid bad (saturated and hydrogenated) fats and eat good (unsaturated) ones to keep our tickers and arteries healthy. Then the humble coconut came along in 2003, and the waters were once again muddied. Seen by some as a superfood but recently labeled by the American Heart Association (AHA) as part of the pool of unhealthful fats, the controversy goes on. So, what are the scientific facts behind the coconut oil hype, and what are the latest developments? When I get my annual physical, I always have blood work done, too. I have often wondered at the various breakdowns of cholesterol. Herewith, an explanation from the Harvard Medical School. Q. My recent cholesterol test result included “non-HDL cholesterol.” What is the significance of this number? A. 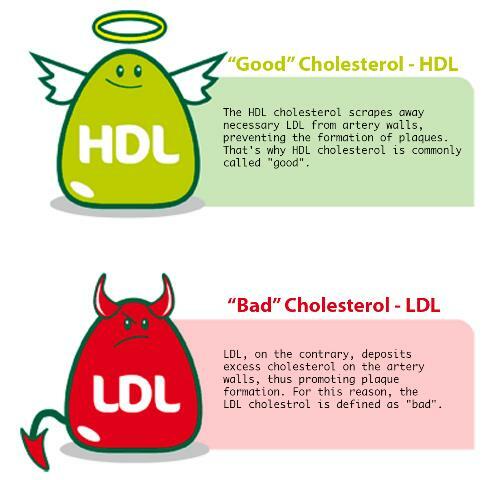 Your non-HDL cholesterol result refers to your total cholesterol value minus your HDL cholesterol. When you get your blood drawn for a cholesterol test (also known as a lipid profile or lipid panel), the report usually includes four numbers: low-density lipoprotein (LDL) cholesterol; high-density lipoprotein (HDL) cholesterol; triglycerides; and total cholesterol. Herewith a wonderful write up on Metabolic Syndrome, a medical condition that sadly seems to be gaining in popularity. Dr. Jonathan gives a superb explanation of it and what you can do to avoid succumbing to it. The diagnosis metabolic syndrome dates back to the 1950’s. It became more popular around the late 1970’s when the low fat diets first became popular. Today, it is a diagnosis used regularly to define an ever growing percentage of our population. We doctors make it sound like a “disease” requiring our intervention to overcome this life threatening syndrome. In reality, it is a state of dysfunction caused PRIMARILY by the consumer. I have mentioned previously about losing three family members to Alzheimer’s Disease and/or dementia. Hence, my own serious concern about these mental conditions. I remember my aunt whom Alzheimer’s took had very high cholesterol late in life and had been warned by her doctor that she needed to get her numbers down. So, this study from Medical News Today published several years ago had real meaning for me. “Nuts to you” used to be a way of putting someone down. But, according to Tufts, nuts might be a good way to get some of those pesky cholesterol levels down. At least part of the proven cardiovascular benefits of eating nuts can be explained by their effects on cholesterol and other blood lipids, according to new Tufts research. The meta-analysis of 61 controlled intervention trials totaling 2,532 participants found that tree nut intake lowered total cholesterol, LDL cholesterol, triglycerides and lipoproteins (particles that transport fats through the body). The major determinant of cholesterol lowering appeared to be nut dose rather than nut type, so you can eat your favorite nuts without worrying about nutrient differences. “This meta-analysis provides the most comprehensive estimates to date of the effects of tree nut intake on major cardiovascular disease risk factors,” says Dariush Mozaffarian, MD, DrPH, dean of Tufts’ Friedman School and editor-in-chief of the Health & Nutrition Letter, who was a co-author on the study. Following is one of those helpful email I get from Harvard from time to time. I thought you might find it interesting. Many people can reduce cholesterol levels simply by changing what they eat. For example, if you are a fan of cheeseburgers, eating less meat (and leaner cuts) and more vegetables, fruits, and whole grains can lower your total cholesterol by 25% or more. Cutting back on saturated fat (found in meat and dairy products) and trans fat (partially hydrogenated oils) can reduce cholesterol by 5% to 10%. Here are four steps for using your diet to lower your cholesterol. Is Your Cholesterol in Good Shape? The message that hasn’t changed is this: If your blood has a lower level of bad cholesterol (low-density lipoprotein, or LDL) and a higher level of the good kind (high-density lipoprotein, or HDL), you will reduce your risk of heart disease. Lifestyle modifications and/or medications are usually effective in shifting your cholesterol levels into a healthy range. Gilles Beaudin wrote . . . .
Cholesterol has been getting a lot of press lately. The most recent news is the about face on dietary cholesterol. The American dietary guidelines no longer encourage restricted cholesterol consumption. Strong scientific evidence shows that dietary intake has little influence on levels of good and bad cholesterol in the body. A potentially damaging substance, MG is formed from glucose in the body. It is 40,000 times more reactive than glucose it damages arginine residue (amino acid) in HDL at functionally important site causing the particle to become unstable. Scientists at the University of Warwick have discovered that ‘good’ cholesterol is turned ‘bad’ by a sugar-derived substance. The substance, methylglyoxal – MG, was found to damage ‘good’ HDL cholesterol, which removes excess levels of bad cholesterol from the body. Low levels of HDL, High Density Lipoprotein, are closely linked to heart disease, with increased levels of MG being common in the elderly and those with diabetes or kidney problems. Supported by funding from the British Heart Foundation (BHF) and published in Nutrition and Diabetes, the researchers discovered that MG destabilises HDL and causes it to lose the properties which protect against heart disease. HDL damaged by MG is rapidly cleared from the blood, reducing its HDL content, or remains in plasma having lost its beneficial function. If you have concerns about your cholesterol levels, there are several steps you can take to lower them, according to Harvard HEALTHbeat. They include losing weight if needed, being more active, and choosing healthy foods. • Choose healthy fats. Avoid saturated fats, which increase unhealthy LDL levels, and steer clear of trans fats, which both raise LDL and lower protective HDL. Instead, substitute healthier unsaturated fats found in fish, nuts, and vegetable oils. • Go with whole grains. Whole-grain breads, pastas, and cereals help prevent a blood sugar roller coaster and make you feel full longer. Many of these foods contain fiber, which can help lower LDL levels. • Make other healthy choices. Eat more fruits and vegetables. Ideally, substitute these for processed foods and sweets. Choose fat-free milk instead of whole milk. Opt for low-fat yogurt and pick brands that are not loaded with sugar. • For the record, I believe not all saturated fats are unhealthy. This blog is firmly behind coconut oil, a saturated fat. 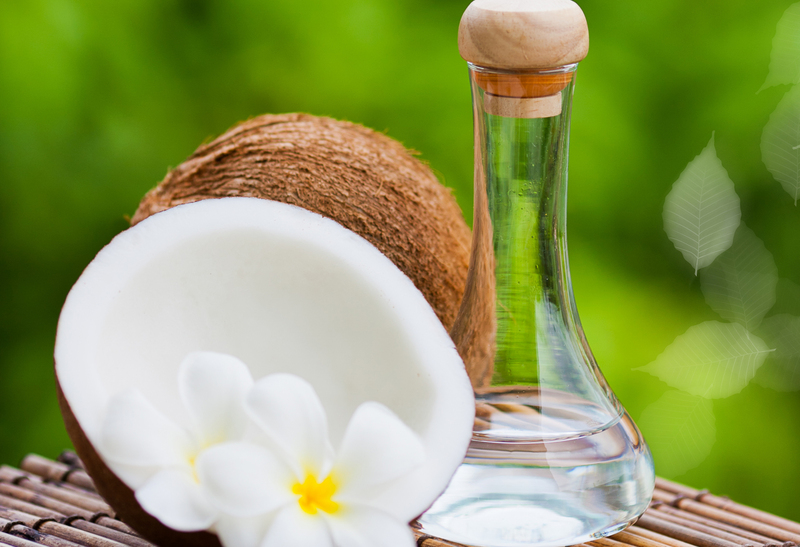 Check out my page – Why You Should Include Coconut Oil in Your Diet. For more on how to reduce your risks of conditions from heart disease to dementia, buy Men’s Health Fifty and Forward, a Special Health Report from Harvard Medical School. As regular readers know, I am a big fan of coconut oil. Just look at the top of this page to see Why You Should Include Coconut Oil in Your Diet. So, you can imagine my surprise when I turned to the Personal Journal section of the Wall Street Journal and saw this headline: Unlikely Source of Healthy Fat: Coconuts, by Laura Johannes. A growing body of research is starting to convince many doctors to think again how they look at fats and heart disease, according to Healthy Ways Newsletter. A study published in the Annals of Internal Medicine this week showed that despite decades of old nutritional advice Cambridge University researchers have found that giving up fatty meat, cream or butter is not likely to improve health. Also, so-called ‘healthy’ polyunsaturated fats do not prevent cardiovascular problems. The new study indicates that there is more than one kind of LDL molecule. The larger LDL molecules are benign while the smaller ones cause the problems. They want the guidelines to be changed to reflect the growing evidence that there is no overall association between saturated fat consumption and heart disease. The new research came from a meta analysis of data from 72 studies including more than 600,000 individuals from 18 countries. Dr. Rajiv Chowdhury is the lead author of the new study and a cardiovascular epidemiologist in the department of public health and primary care at Cambridge University. “The primary reason saturated fat has historically had a bad reputation is that it increases low-density lipoprotein cholesterol, or LDL, the kind that has been assumed to raise the risk for heart attacks. But the relationship between saturated fat and LDL is complex, said Dr. Chowdhury. In addition to raising LDL cholesterol, saturated fat also increases high-density lipoprotein, or HDL, the so-called good cholesterol that has shown to protect against heart disease. And the LDL that it raises is a subtype of big, fluffy particles that are generally benign,” Healthy Ways reported. “The smallest and densest form of LDL is more dangerous. These particles are easily oxidized and are more likely to set off inflammation and contribute to the buildup of artery-narrowing plaque. 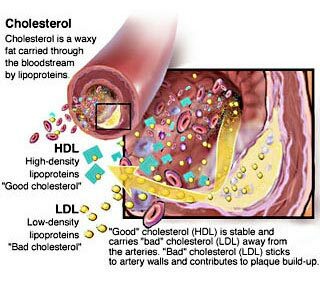 An LDL profile that consists mostly of these particles usually coincides with high triglycerides and low levels of HDL, both risk factors for heart attacks and stroke. The fat story is a complex one. I think it is important to focus on Dr. Chowdhury’s observation that the LDL that is raised is a subtype of big fluffy particles that are generally benign. In my experience, I have only read that LDL is the ‘bad’ cholesterol and we need to reduce it. Apparently that is not the case. It is sugar that increases the small and harmful LDL. As I have written here more than once, I eat coconut oil , a saturated fat, every day in a number of ways and my cholesterol numbers have only gotten better. To read more about the benefits of coconut oil check out my Page: Why You Should Include Coconut Oil in Your Diet. Regular readers know that I have been an avid bicycle rider for years. I logged over 7000 miles in the year just ended. And, I have not stopped riding. I have, however, begun a new exercise, for me – climbing stairs. Although this person is walking down the stairs, I don’t recommend it. You can develop knee problems among others. How come? Well, the only drawback to cycling I know of is that it is not weight-bearing. So, while the aerobic activity benefits my cardiovascular system greatly, I get no benefits for my skeletal system. I need both and I just can’t get into weight workouts. An additional benefit of stair climbing over bike riding is that you can do it indoors so the weather conditions do not present a problem. Having just suffered through historic cold weather with much of the country, this is particularly relevant now. While current temps here in Chicago range in the mid 30’s, there is still a lot of snow, ice and slush around that makes for dangerous biking conditions. Nonetheless, you can climb at your own pace and still get a good workout.